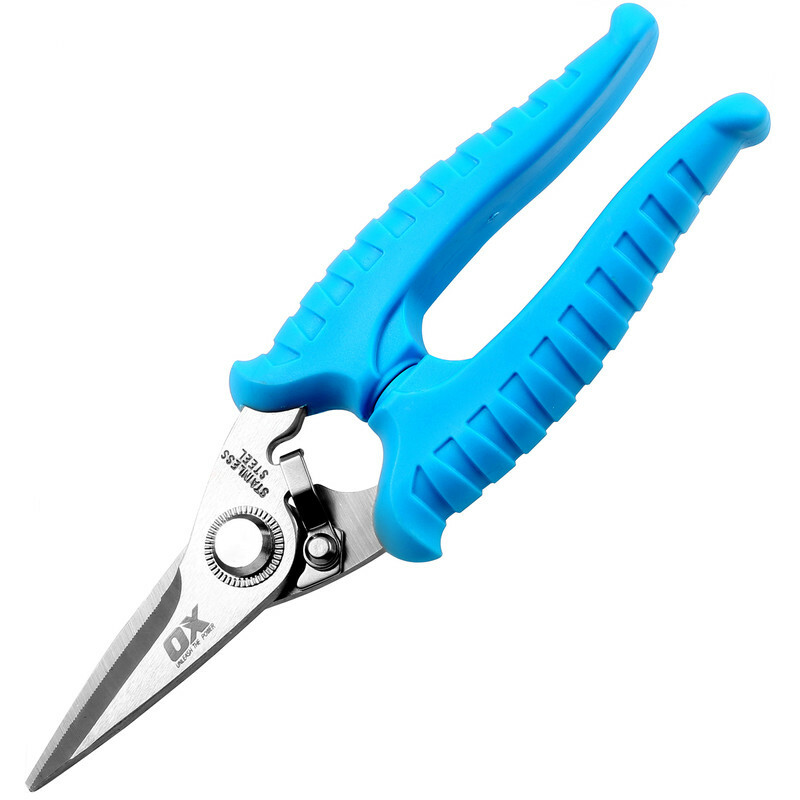 185mm (7") durable sharp snips. For all industrial applications including wire netting, light gauge aluminium, carpet, leather, Kevlar® etc. Stainless steel serrated edge blades for increased cutting capacity. Comfort grip handles.